On Mar. 21 2017, EverExceed's exclusive agent successfully held a two-day EverExceed's products seminar at Accra, Ghana, Africa. More than one hundred local end customers、integrators and engineering firms invited to attend this meeting. EverExceed representatives made a speech and shared the information on full range of EverExceed products and energy solutions，including Lead Acid battery, Battery monitoring solution, Vplus series Inverter Charger, Smart IT Cabin Solution, Home UPS , Anti-High Temperature battery and Energy. It also had introduced the Smart integrated solutions, Solar Energy Solution, Energy backup solution and Power Solutions in communication，Energy and Integrated Security solution that the power market in Africa. 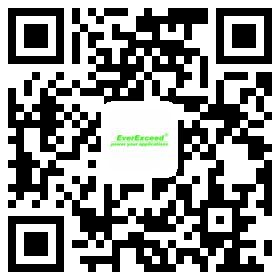 The clients appreciate EverExceed brand for its top quality and nice service. It is more worth mentioning that EverExceed products are very suitable for tropical climate in Africa. Furthermore, the performance ensures the power plants have stable in the long run. During the seminar, Our representatives shared the Smart integrated solution, especially EverExceed Smart IT Cabin Solution, which offers Industry best practices and best of breed solutions in data center design and operations, attracted great attention of participants. when having a break, they had a discussion with Our engineers and expressed their appreciation for the safe, easy and user-friendly one-stop solution. In 2017, EverExceed is going to explore the fast expanding Africa market continuously with new technology and products. About EverExceed established in 1985, as a worldwide professional energy/power products manufacturer, is proud of nearly 30-year manufacturing experience and its solid and professional teams in sales, marketing, R&D, manufacturing, who are jointly providing innovative & eco-friendly products, excellent power efficiency solutions and value-added service. EverExceed has been devoting to maximizing the value to its worldwide users through its commitments to people, advanced technologies and quality services.